How much money do I need to Invest in a PARC Rental Property? You will need to have access to a minimum of $12,000 – $25,000 in order to invest if you are planning to finance your investment. (20 to 25% down payment of the total sales price) Many investors are using IRA’s, partnerships, home lines of credit, capital converted from under preforming stocks, mutual funds and other traditional investments. Please contact a PARC representative to discuss an investment plan that is specific to your current situation and future goals. Will I own the property or am I investing in real estate fund? You will have 100% ownership of your investment property. Under no circumstances will your money be “pooled” with other investors in a real estate fund or on multiple investment properties. If I have my own contractor or mortgage broker can I still use them in the PARC Wealth Building Program? No. In order to protect our clients, we require that all investors use our team exclusively. Many contractors, mortgage brokers, insurance agents and other real estate vendors lack the knowledge, experience and customer service skills required for our specific investments. PARC’s teammates are proven professionals who have a track record with PARC and our clients. PARC’s team includes our in-house, full-time real estate experts as well as dozens of other teammates who help to produce the “peace of mind” experience our clients have come to know expect from the PARC Wealth Building Program. Will PARC Provide the Property Management? Yes. At PARC we believe that a professional “in-house’ Property management team is among the most important components of a successful income property investment. At PARC we insure our client’s properties are managed by a team committed to maximizing returns and to minimize expenses and vacancies. Are the properties you sell already renovated and producing income? Yes, all investment properties are fully renovated and producing income…day one! That means from the moment you close on your first investment property, you are earning cash flow and a high ROI! How does PARC find the properties offered to investors? The PARC team have bought literally hundreds of properties here in Indianapolis, IN. The skills of valuing property, estimating renovation costs, evaluation of rent comparables and choosing quality investment properties is what help set the PARC team apart from others. The sources of properties range from Sheriff Auctions and Bank owned properties to Tax surplus properties and short sales. Because of our reputation and long standing relationships, many foreclosure buying opportunities are available to the PARC team that are not available to the general public. Are these properties available through other Realtors or on the Multiple Listing Service? No. 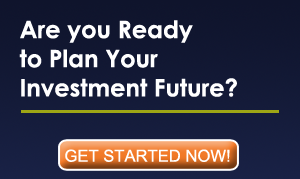 The investments offered through the PARC’s Wealth Building Program are only offered to our exclusive clients. If you become a client, you will have access to the PARC inventory of cash flow properties that generate significant, passive income. How does PARC make its money? PARC Property Group makes a profit on the sale of the investment property that it has purchased, renovated and rent stabilized. We do not take kickbacks from any of our external teammates including mortgage brokers, contractors, insurance agents or any other real estate vendor. PARC Property Management provides the on-going property management of the investment and makes a profit through monthly property management fees, tenant placement fees and other standard fees associated with property management. Do you offer referral fees? Yes we do! We are a referral-based business and the majority our current clients have come through word-of-mouth. We offer $1,000 referral fees for anyone that you bring to our team who becomes a Client. We also have an excellent referral programs for Realtors! You’ll just need to call or email our office and provide first name, last name, phone number and email address of your referral in order to receive credit if they become a Client. You can call the office at (317)-537-7617 or email toddroberts1@comcast.net. What are the options for financing the purchase of properties? IRA accounts converted to “self-directed” accounts so they may invest in real estate with tax deferred gains. Mortgage Financing is available for the purchase of investment property with downpayments as low as 20%. Home Equity Lines of Credit are often used for the purchase of income property due to the low interest rates. Please contact a PARC representative for detailed information and our affiliates that specialize in each of the above funding options. Most people who have never bought investment real estate before do not fully understand the tremendous amount of knowledge and qualified team members necessary to make a real estate investment transaction successful. 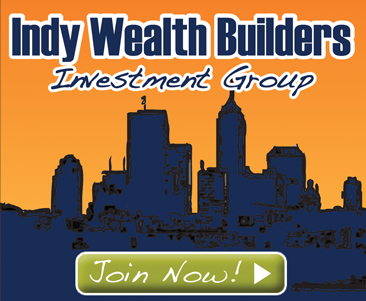 At PARC we are full time real estate investors with many years of experience right here in Indianapolis. Our relationships and knowledge will save you time money and frustration.